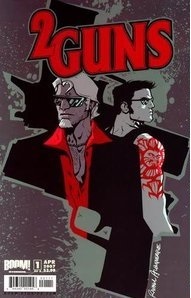 Two Guns reads like a bad action movie. Given its roots that’s unsurprising, and reading it it’s unproduced status is just unsurprising. It starts with a couple of small twists, which occur in the set up and so are often spoilt in reviews or even solicitations and sales blurbs. The rest of the twists and turns are pretty obvious, some given away well in advance of their big reveal. The dialogue is corny and stilted and tries to be more macho that it is. The humour that makes or breaks these sort of films reads flat on the page. It ends were everything wrapped a little too neatly for what went before leaving it unsatisfying. 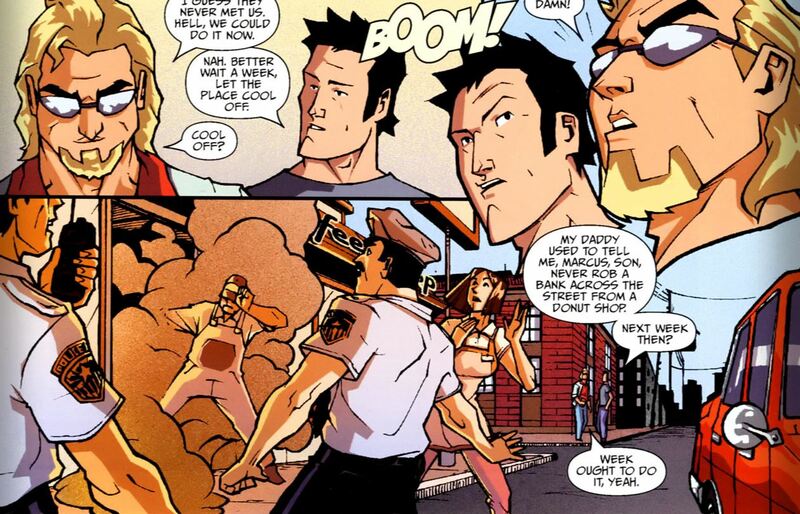 The are is cartoony which doesn’t help or hurt the comic but the lay out is standard comic book stuff and doesn’t help bring the action film vibe to the book. 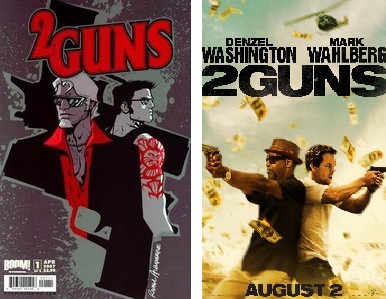 This is a comic is trying to be an action film, and fails to be either very well and in 2013 it became one.